The best run of hatchery steelhead fishing in the Northwest is on the Cowlitz River in March, with maybe the exception of the Clearwater River in Idaho. With that said, the run seems to be transpiring early this year. The fish are showing up big-time right now. Last year there were no fish in Cowlitz this time of year, but they are in now and continue to push through daily. This isn’t happening by accident. Keep in mind, our stocking schedule changed. In the past we had roughly 650,000 to 700,000 smolts that were split between December and March plants. We called it the A Run, which were December fish and the B Run, which were March fish. This will be the first year that the Cowlitz will have zero returning fish in December. All the hatchery fish will now return in March. 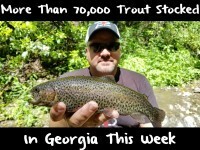 Basically, we are fishing for double the fish from now through April and they are there now. I wouldn’t expect to go out there and limit out everyday, but getting five to six is in the cards. Last year, at this time they were getting zeros or maybe two. It’s definitely significantly better this year. These numbers should only continue to build through March and into April. The peak of this run is generally the third week of March. As you start getting into the middle of the March it’s not unrealistic to catch springers, too and with more than 11,000 expected it should be a good year for the salmon. Ground zero for steelhead fishing is the Blue Creek area. However, the vast majority of these fish will be heading up towards Barrier Dam. 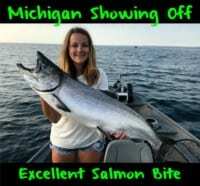 As we roll into March, generally the water flows ease back a bit and that allows you to fish virtually the entire river system and have a realistic shot of catching fish. 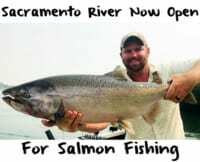 At that time you’ll be able to fish from Barrier Dam to mouth of the Cowlitz, which is somewhere in the neighborhood of 40 river miles. Near the hatchery one of the primary things we use is Yarn Balls soaked with Pautzke Red Nectar with a whole bunch of Liquid Krill mixed in. Meanwhile, the further downstream we get from the hatchery it switches to an egg show. I believe due to highly pressured fish up near the hatchery they just don’t seem to like eggs as much likely because there’s so many people up there using eggs. Sure, it works, and you’ll catch fish on eggs up there, but not as many as we catch on yarn balls dipped in Nectar. I think this is because the yarn balls maintain a smaller presentation. On the other hand, once you migrate downstream away from the hatchery eggs take center stage. My favorite egg to fish is Pink BorX O Fire cured eggs. I throw Fire Power in there during the curing process and even some sugar, too. Then start side drifting down the river until you find fish. Editor’s Note: Anglers may keep two hatchery steelhead per angler, per day. Todd Daniels operates Tall Tails Guide Service. For more information on his Cowlitz River steelhead trips please visit http://talltailsguideservice.com.